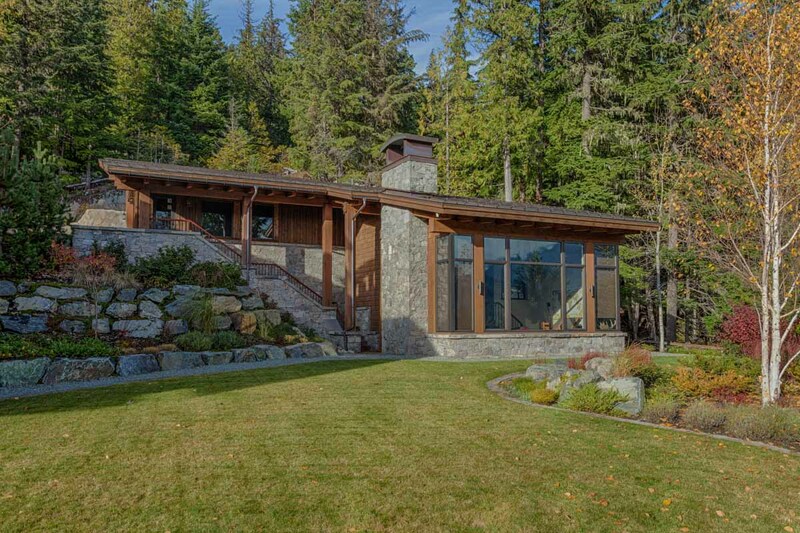 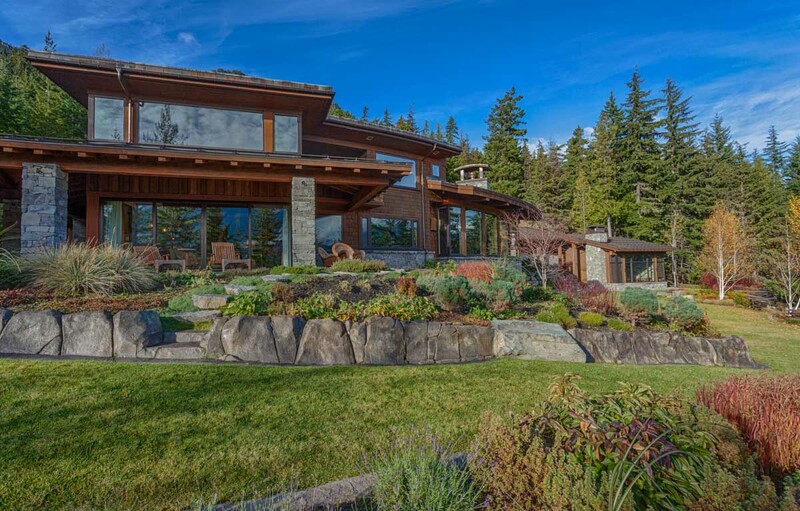 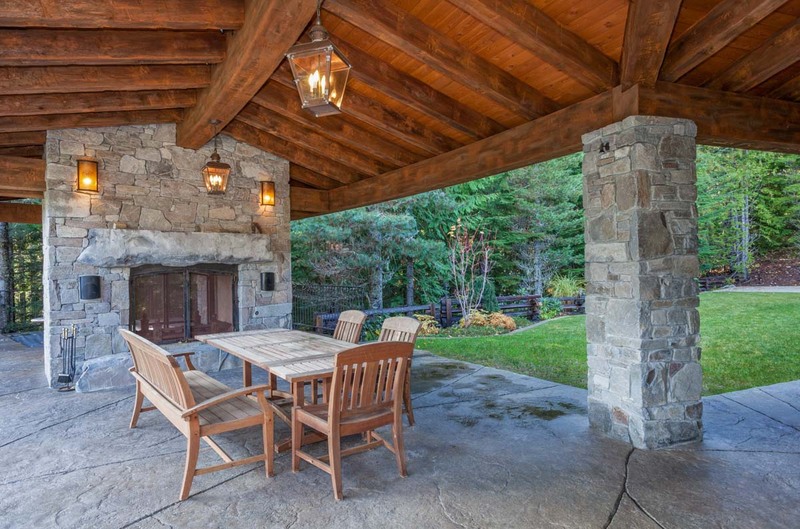 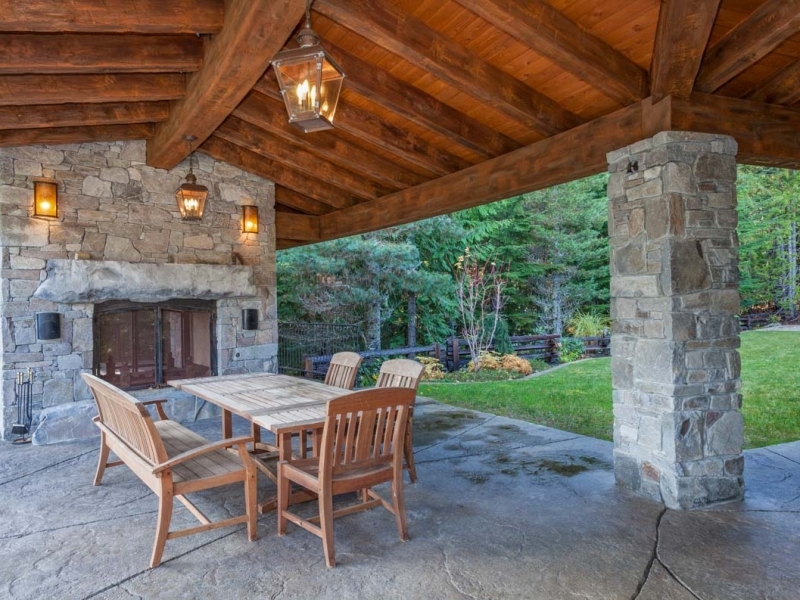 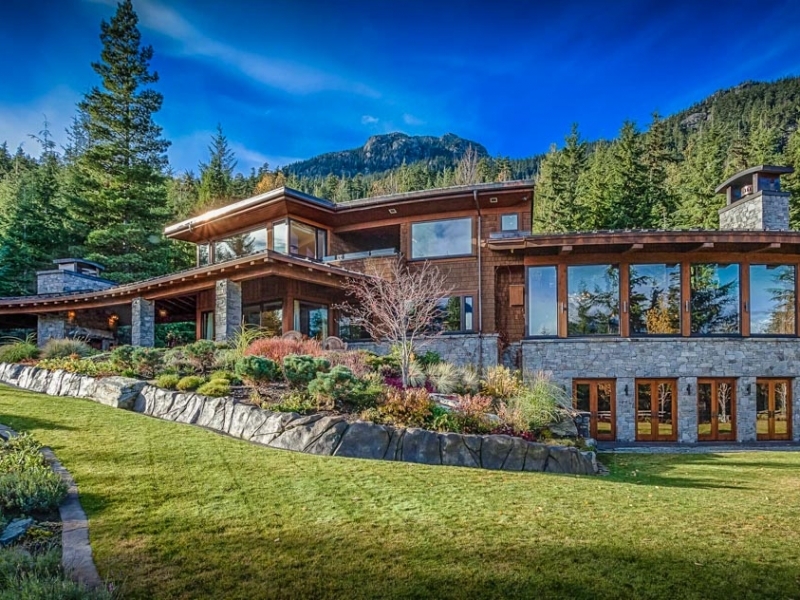 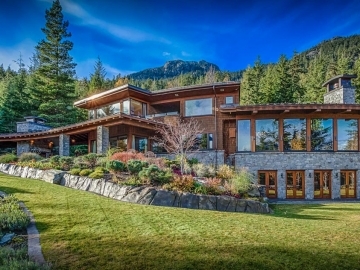 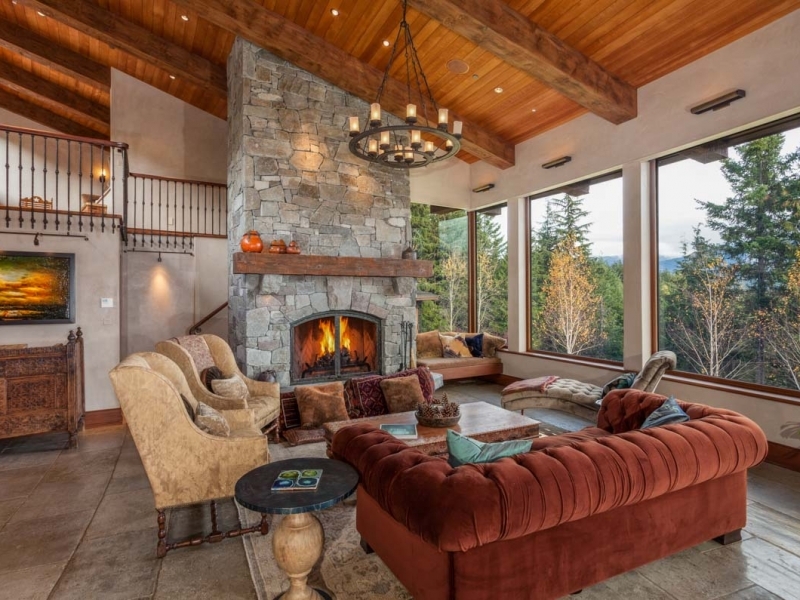 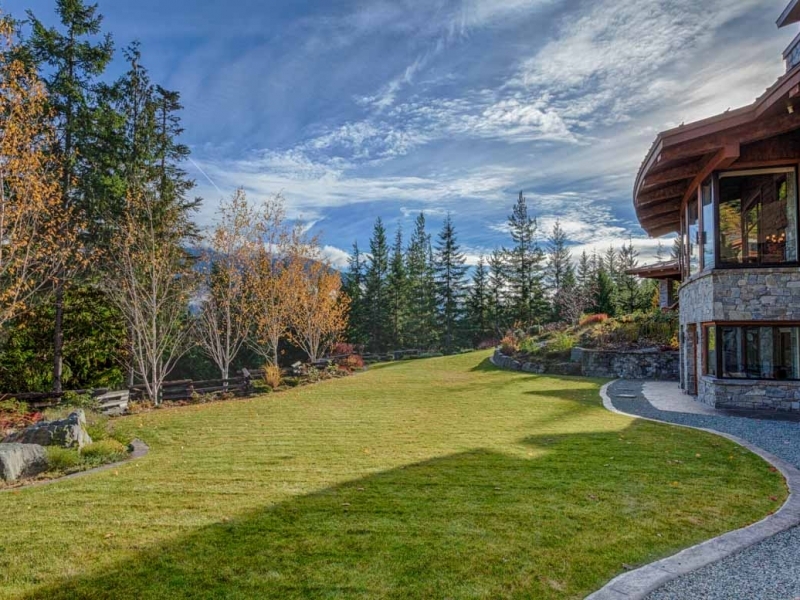 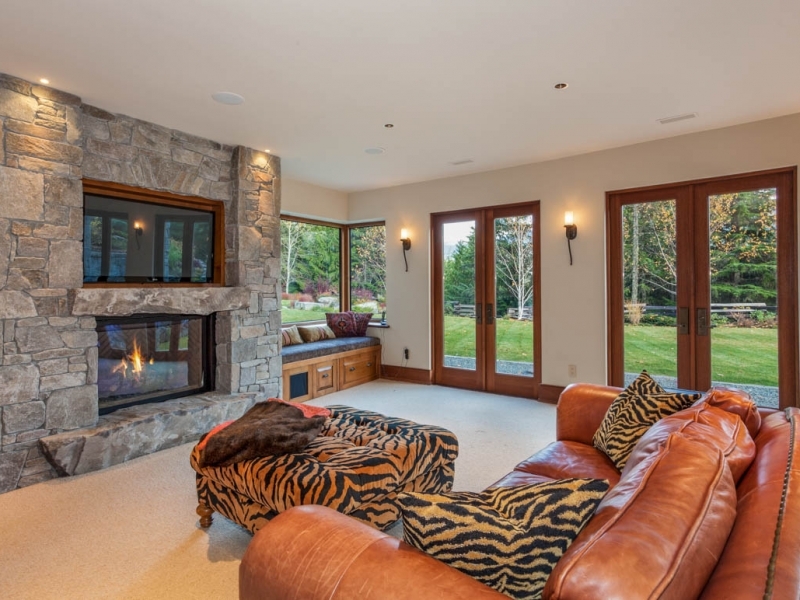 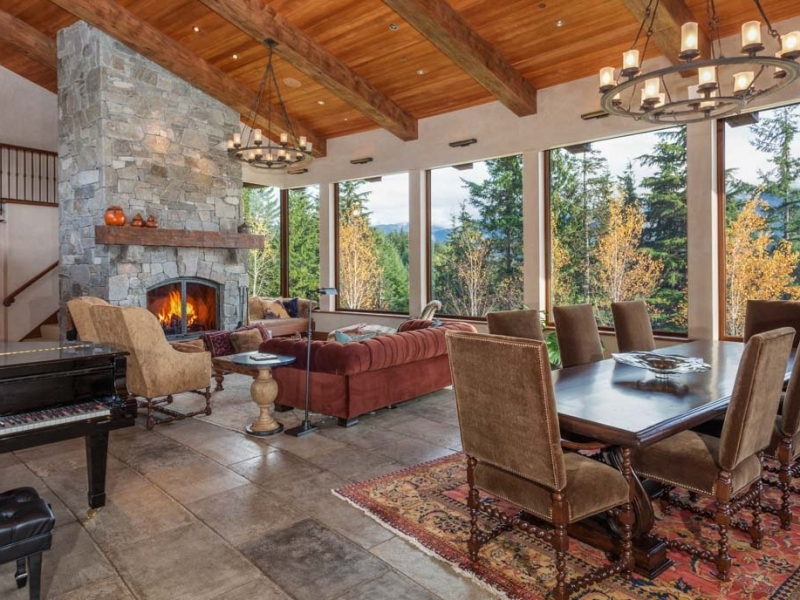 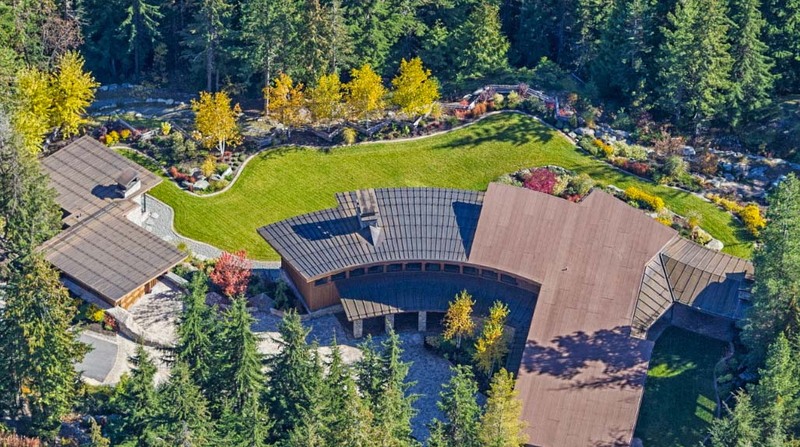 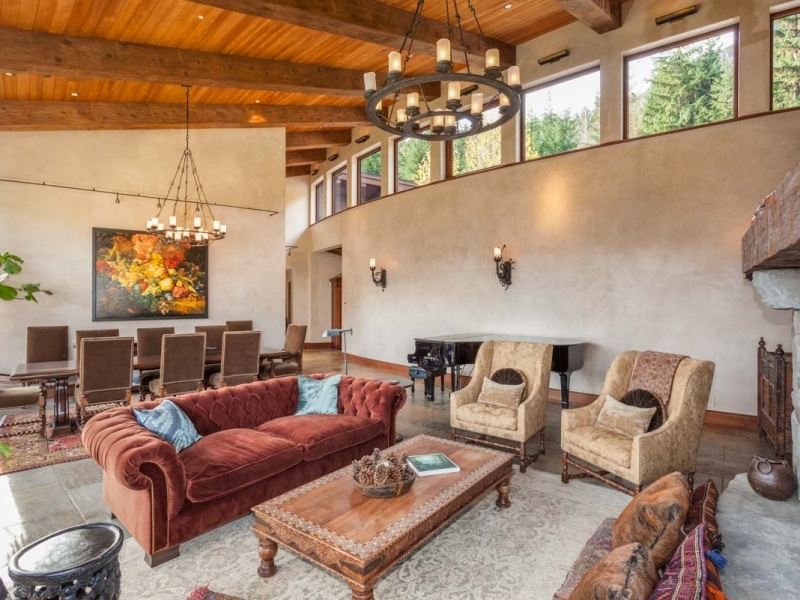 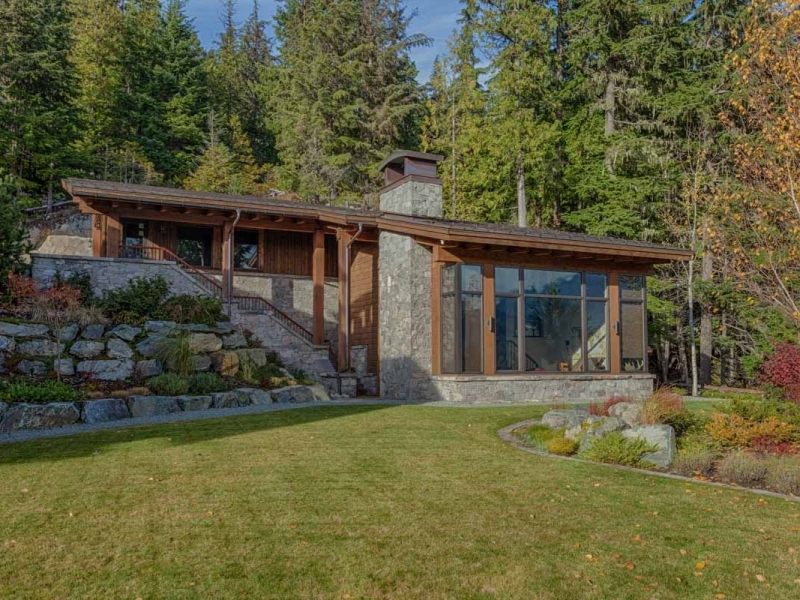 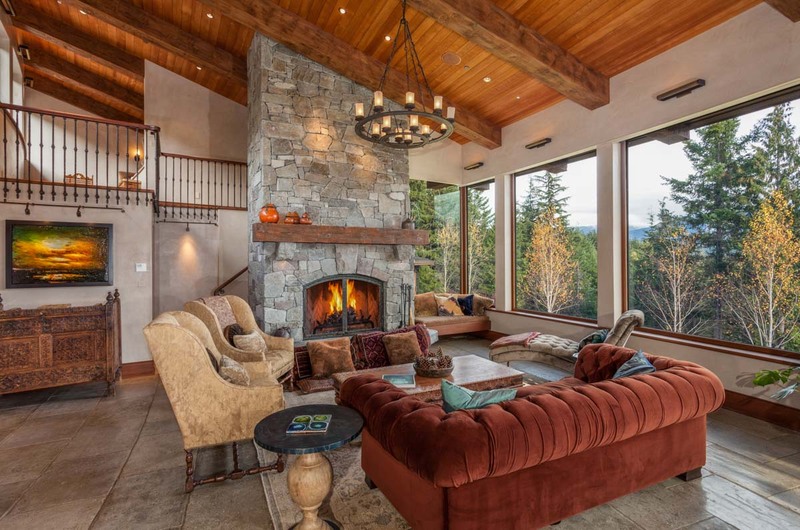 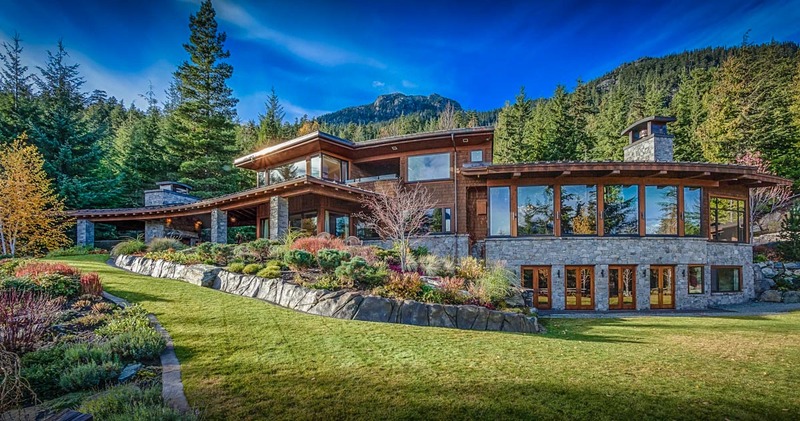 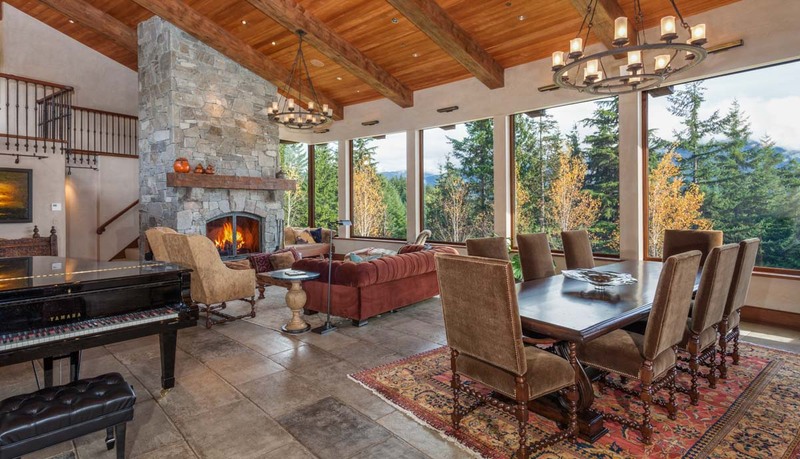 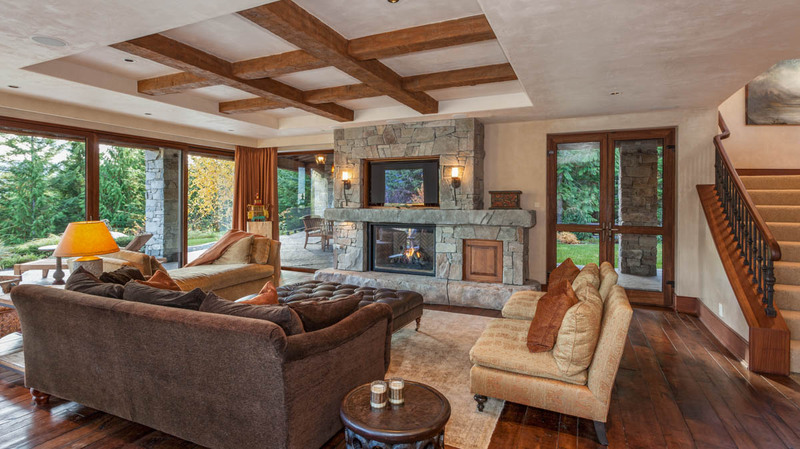 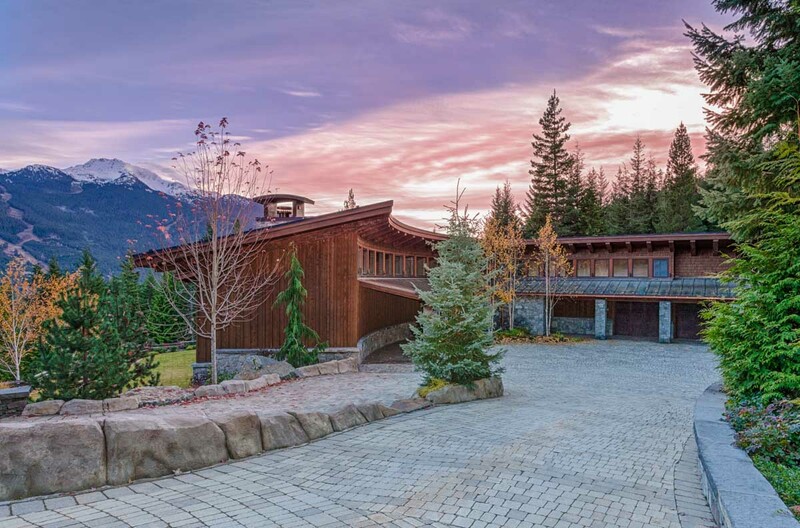 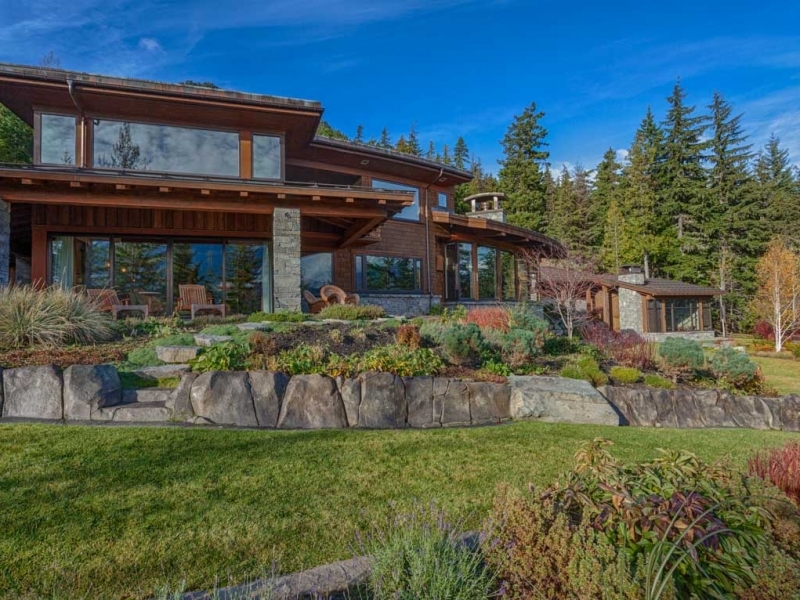 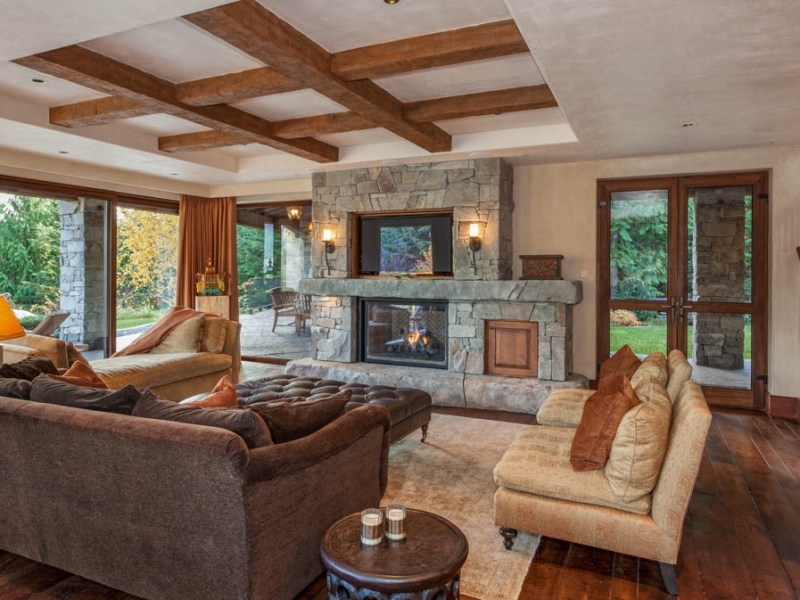 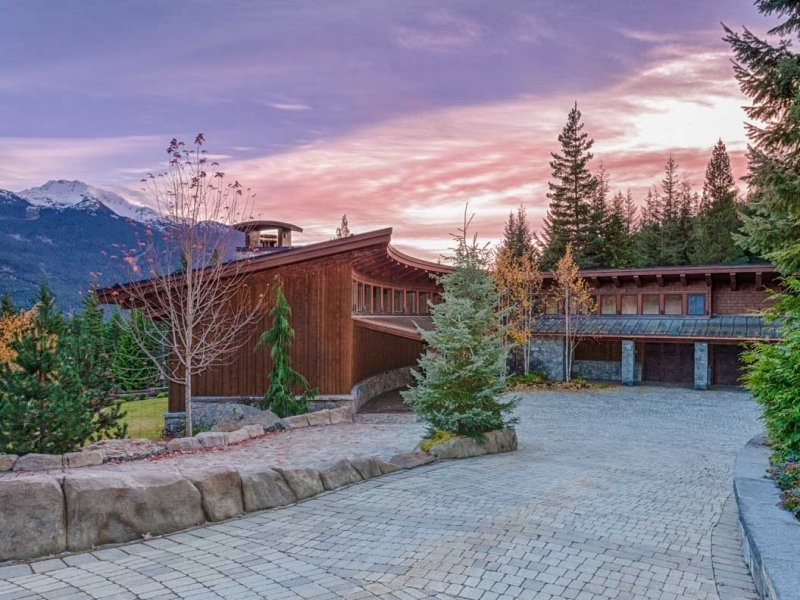 Tucked into several private acres of forest in an exclusive neighborhood above downtown Whistler, this expansive vacation rental boasts gorgeous Whistler and Blackcomb mountain views; easy access to skiing, shopping and dining; and beautiful finishes that put a modern twist on traditional lodge style. 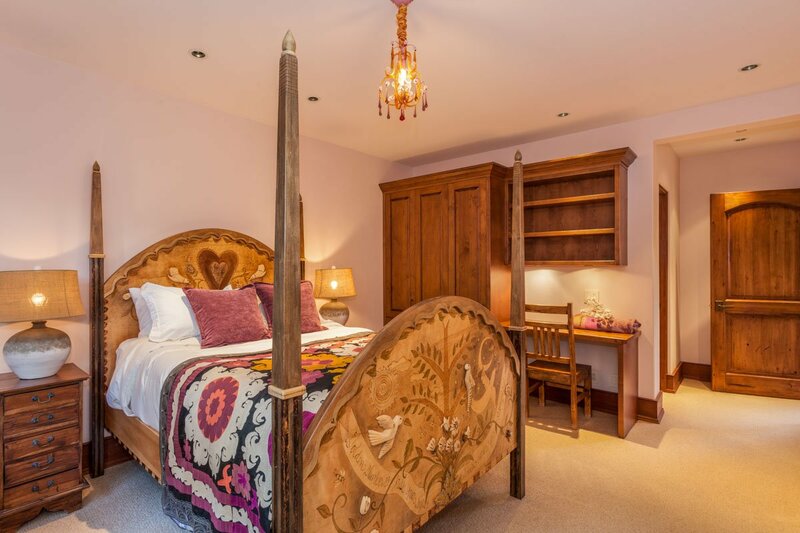 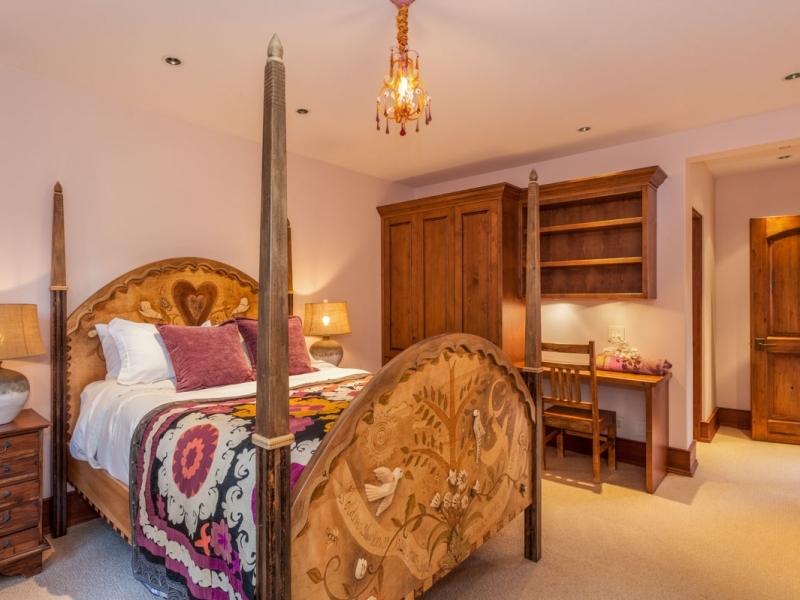 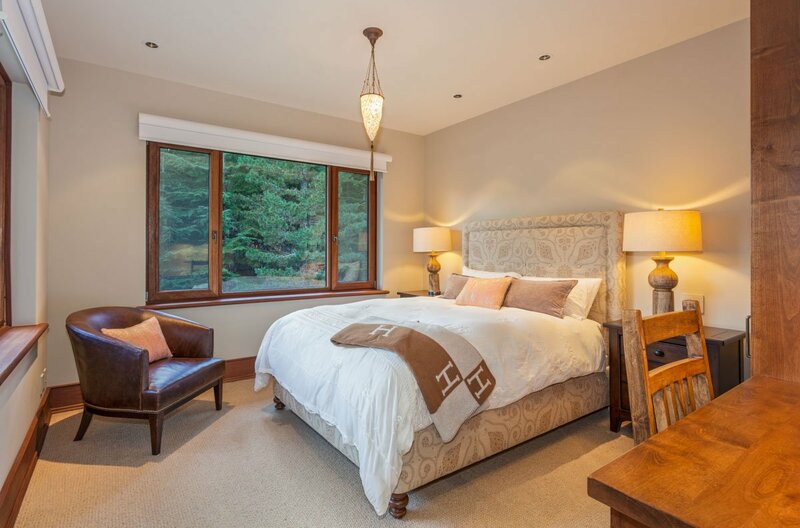 With 5 bedrooms, it’s perfect for a getaway with the whole family, and a separate guest house means couples can escape for a second honeymoon. 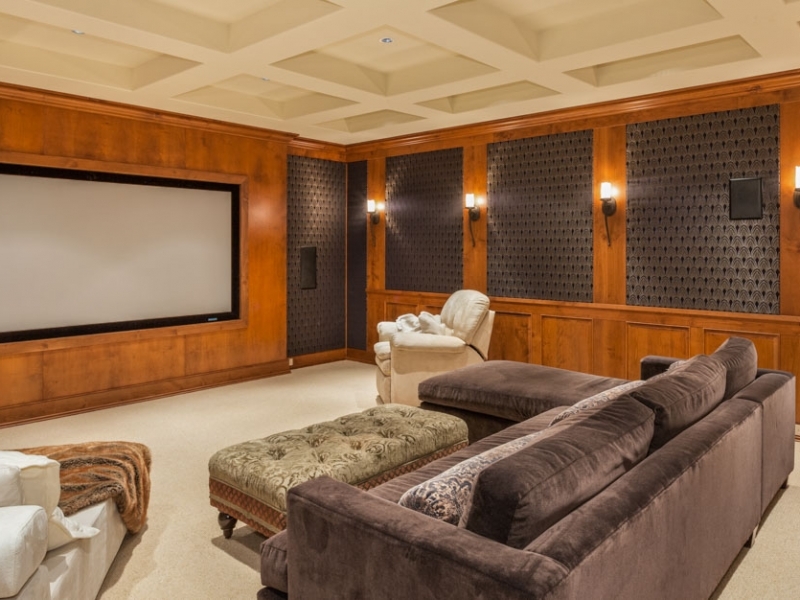 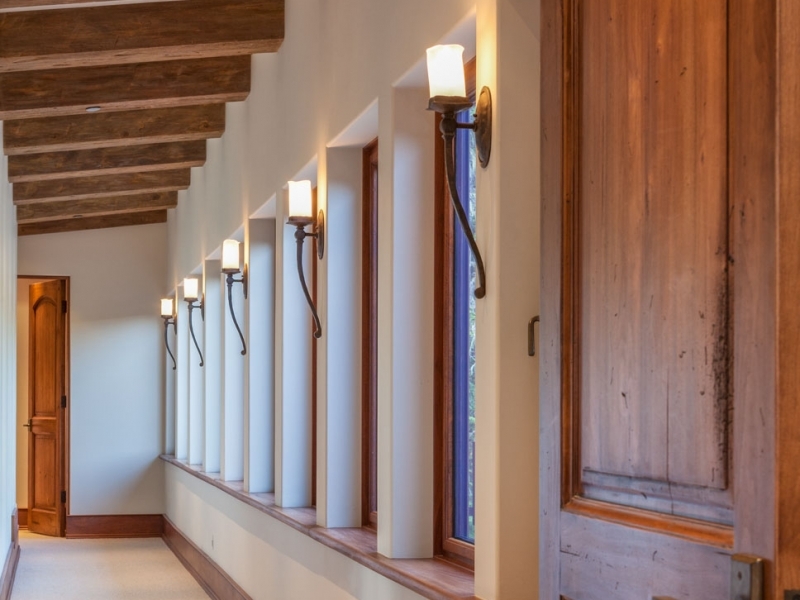 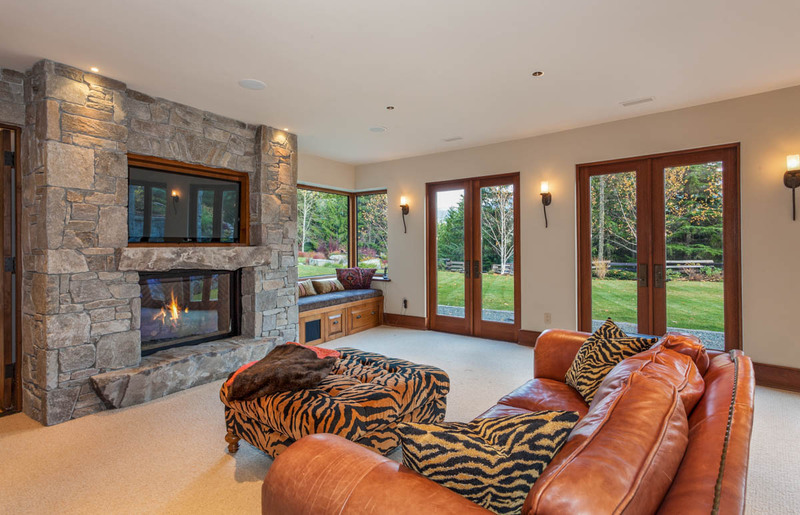 Once inside this custom built modern home, one is taken back by its warmth, comfort and ease of living that is present in every room one enters. 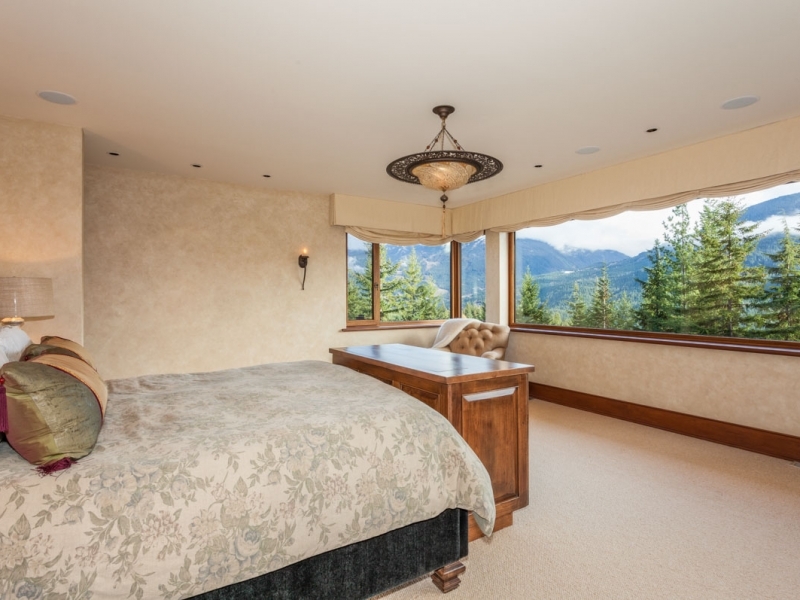 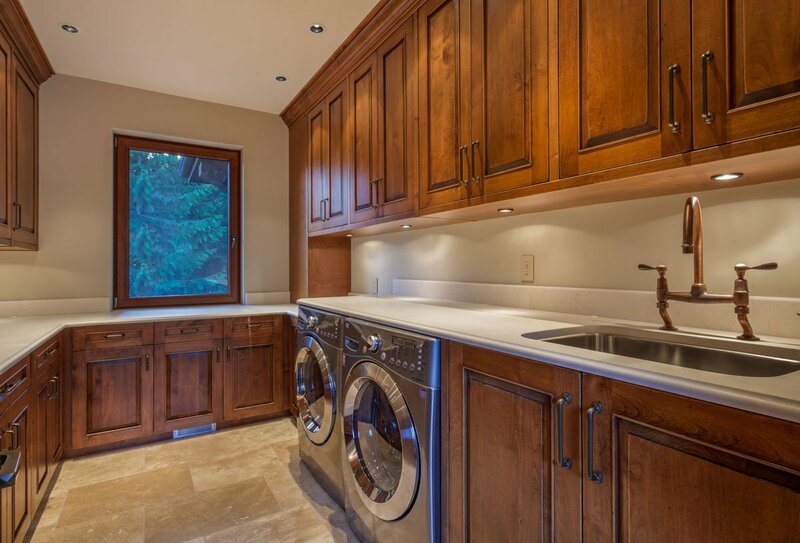 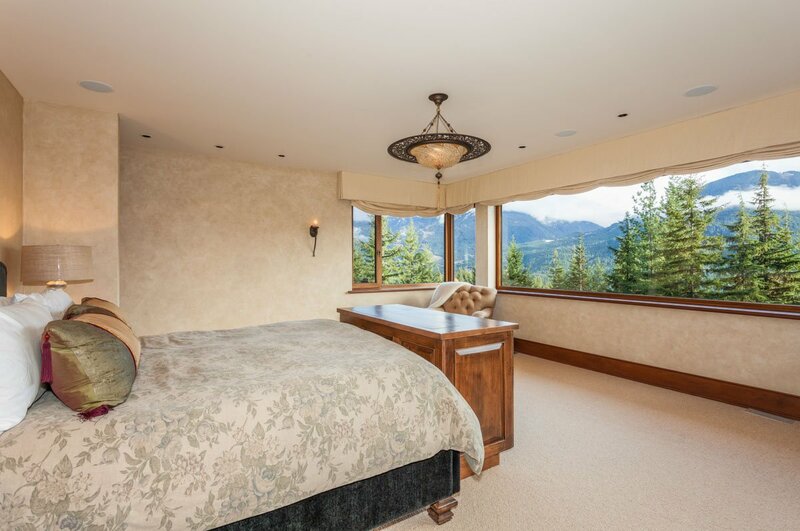 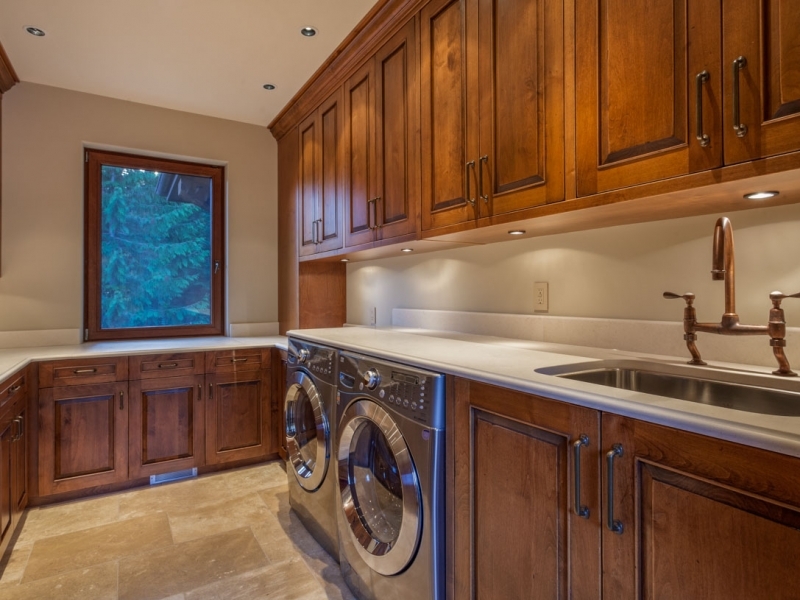 All rooms are finished to exceptional standards using only the highest quality finishings, from the gourmet chefs kitchen with top of the line duplicate appliances, to the elegant living room with vaulted ceilings, cozy wood burning fireplace and unsurpassed Whistler/Blackcomb mountain views. 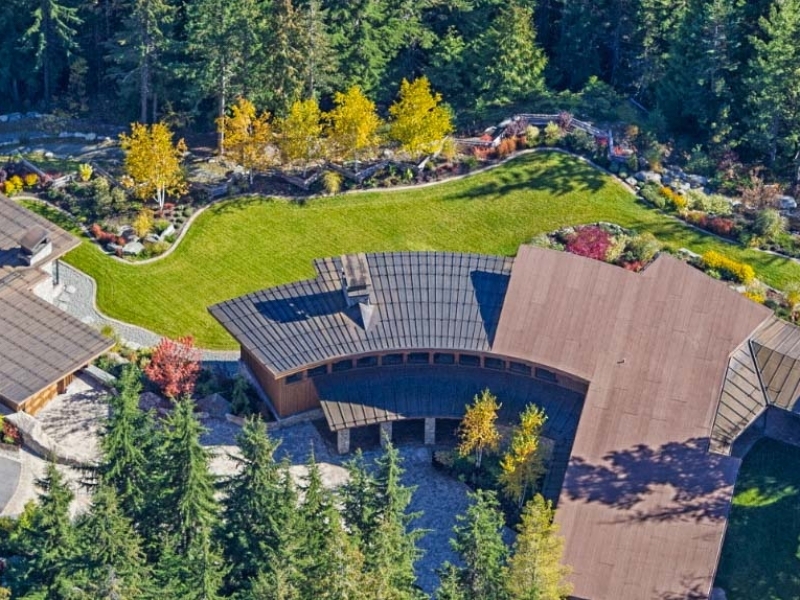 The floor plan encompasses 5 bedrooms (all en suite), loft, 7 bathrooms, media room, family room and games room both with gas fireplaces, elegant wine room and a gym. 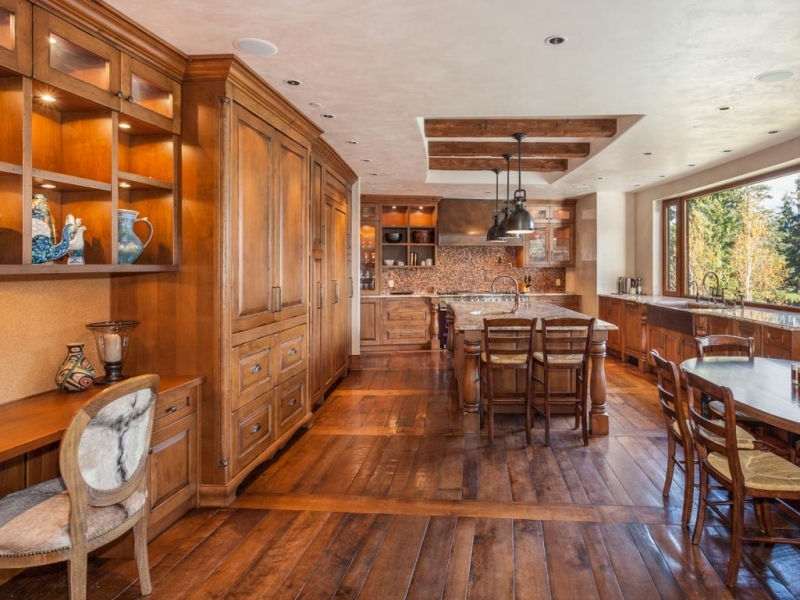 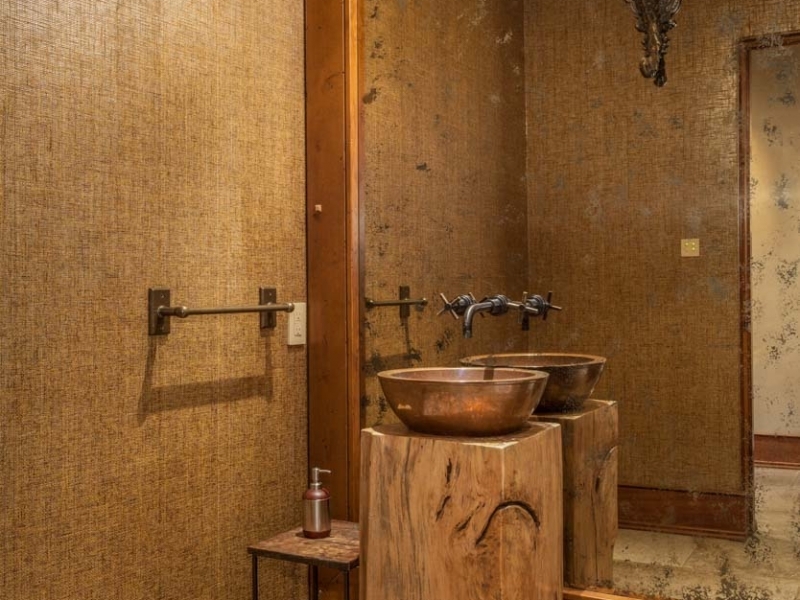 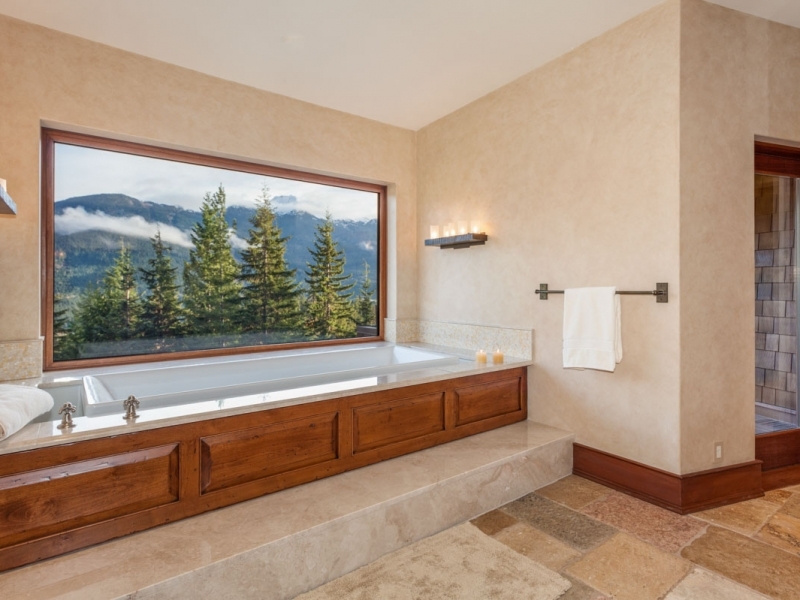 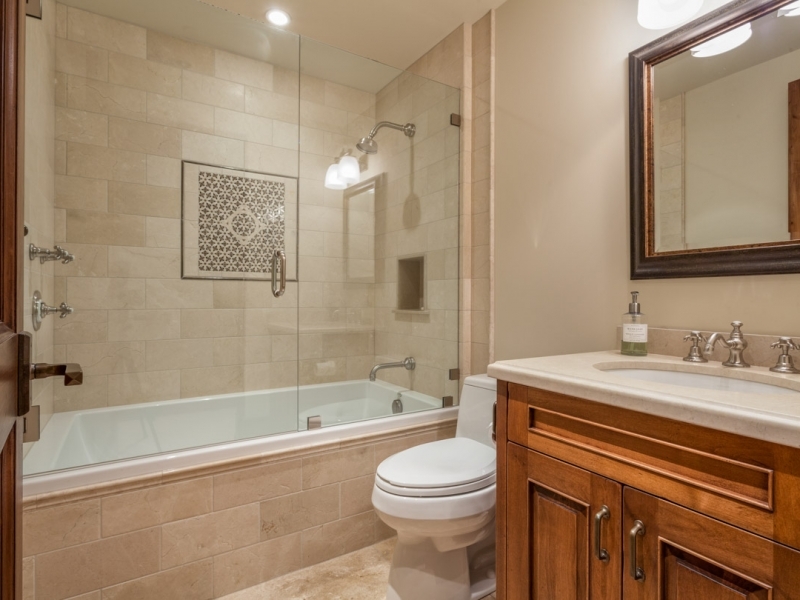 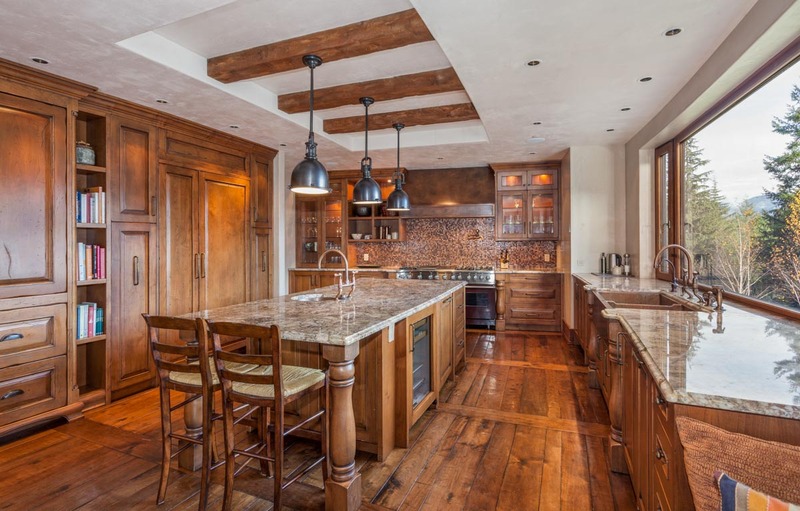 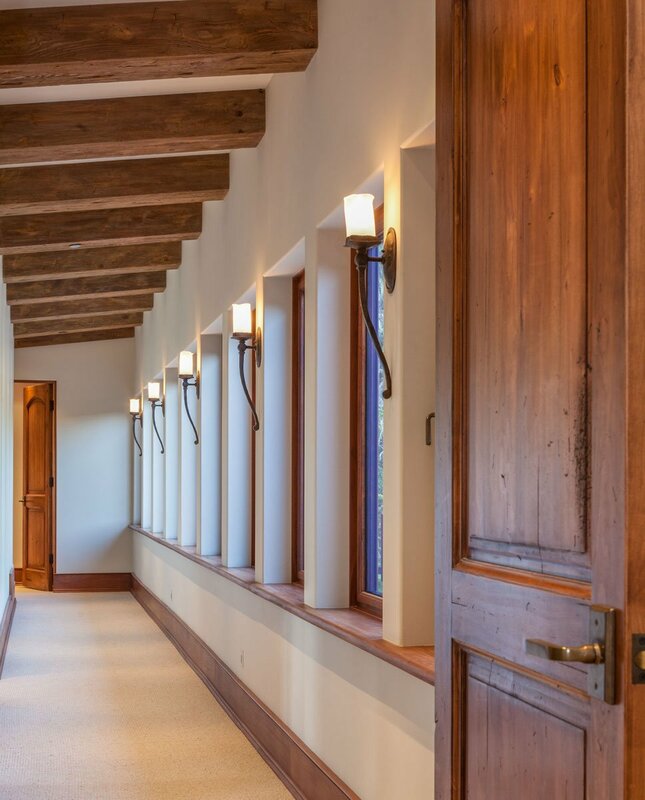 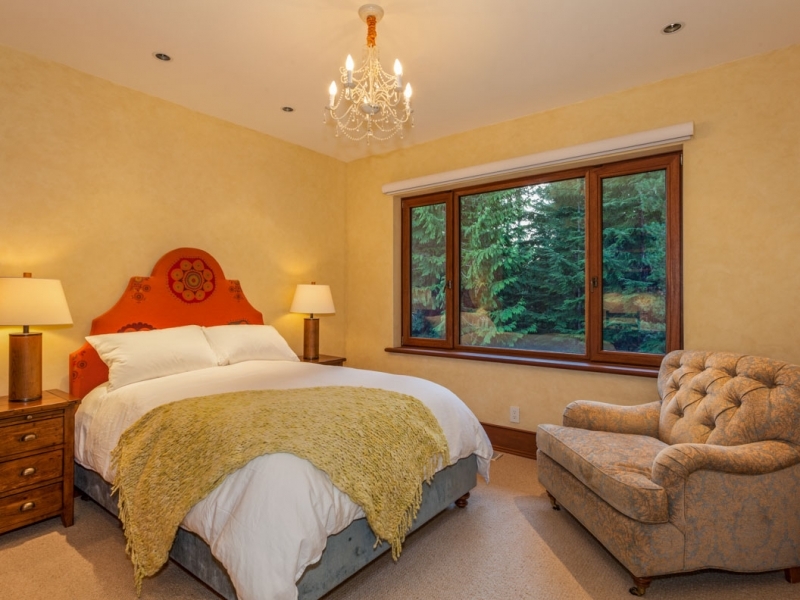 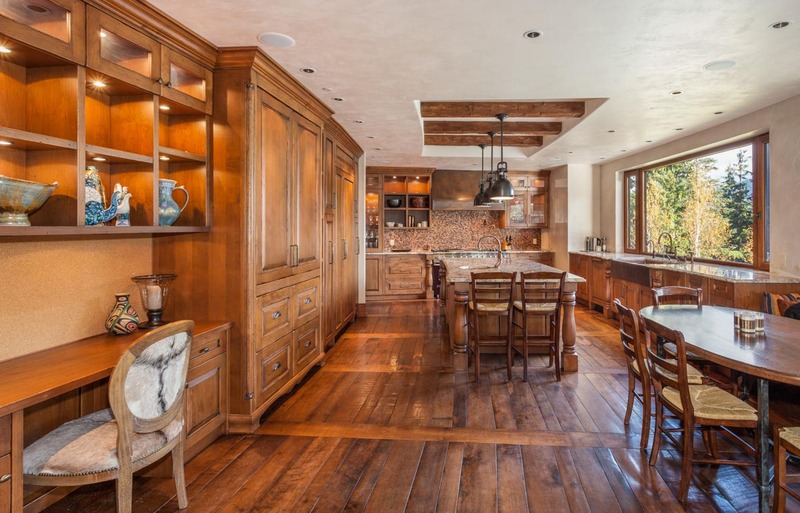 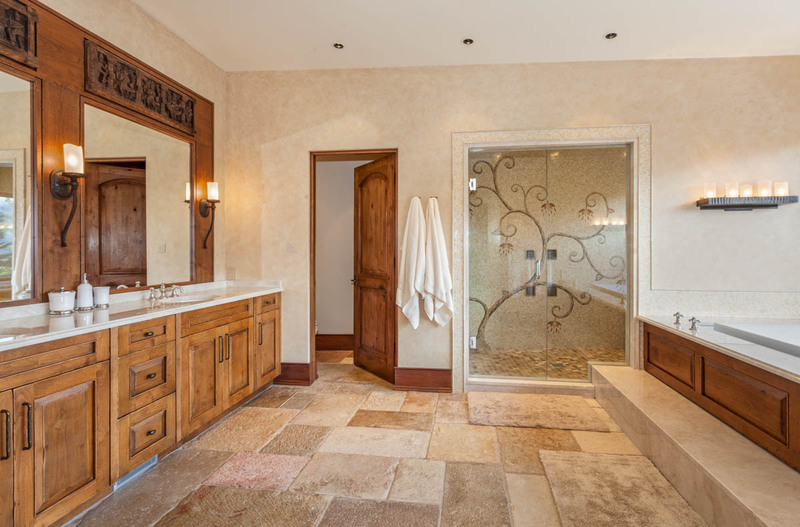 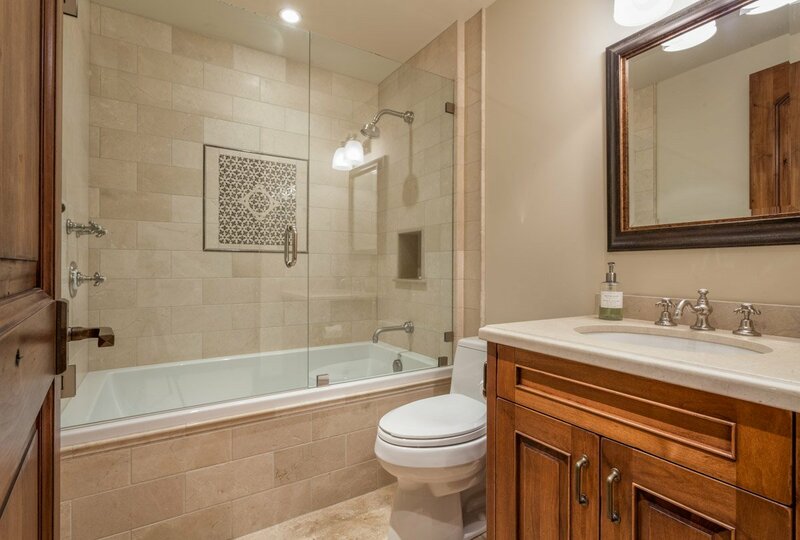 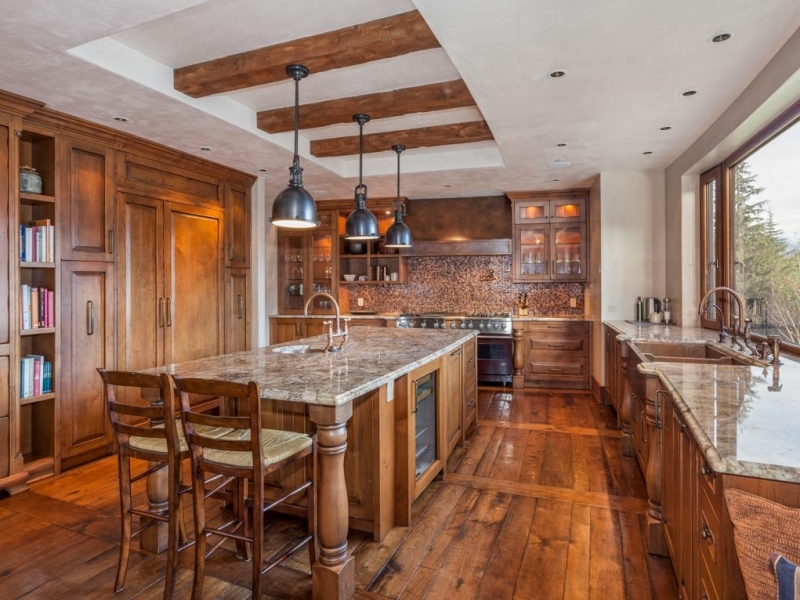 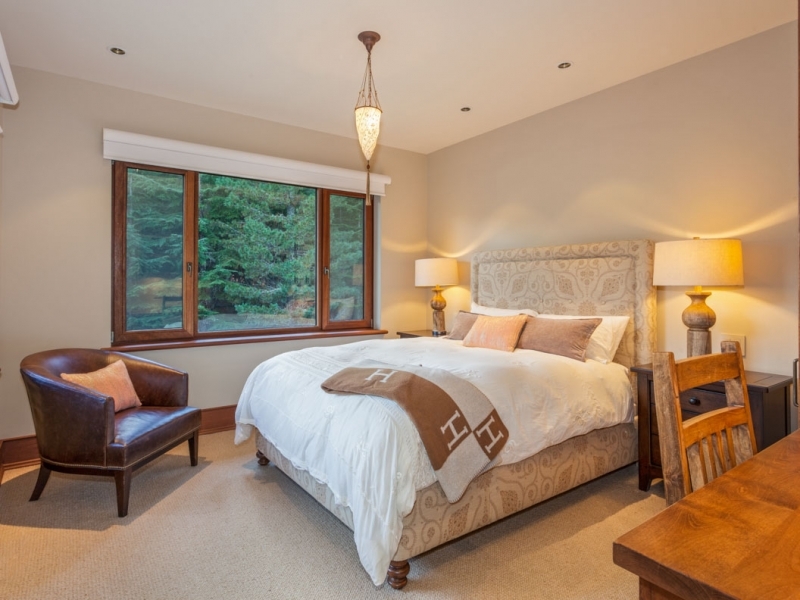 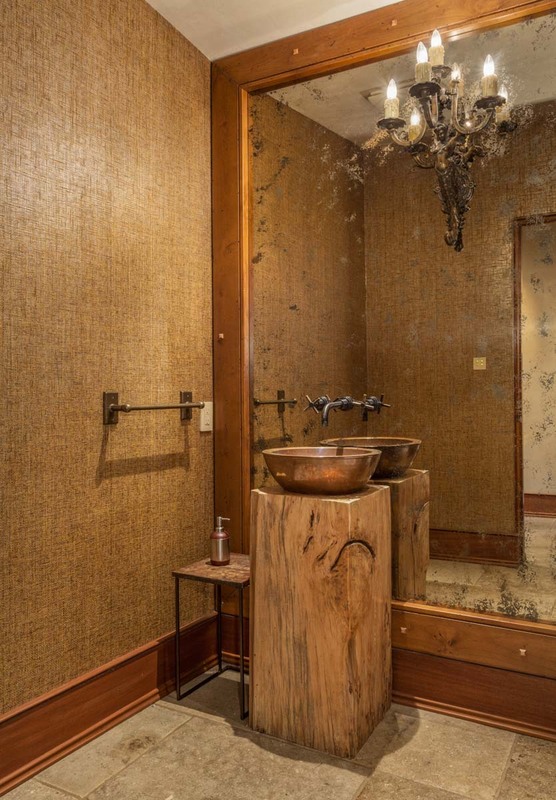 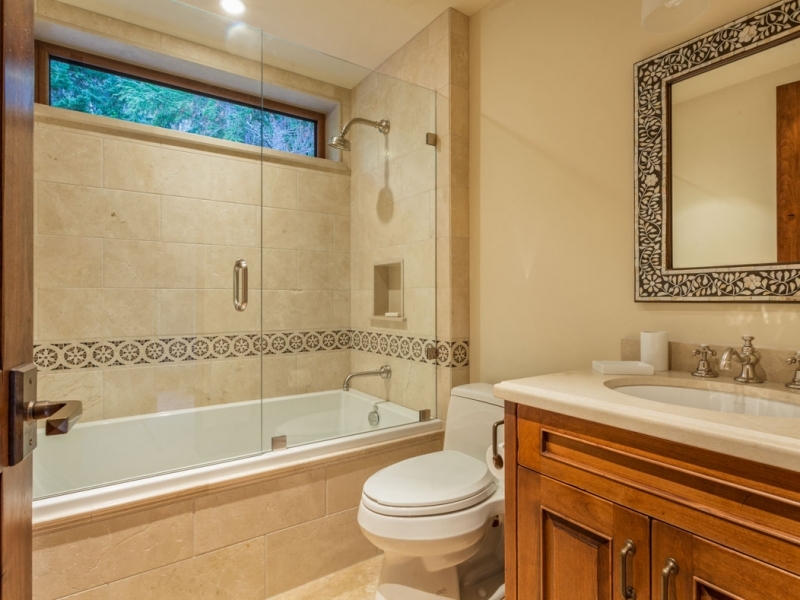 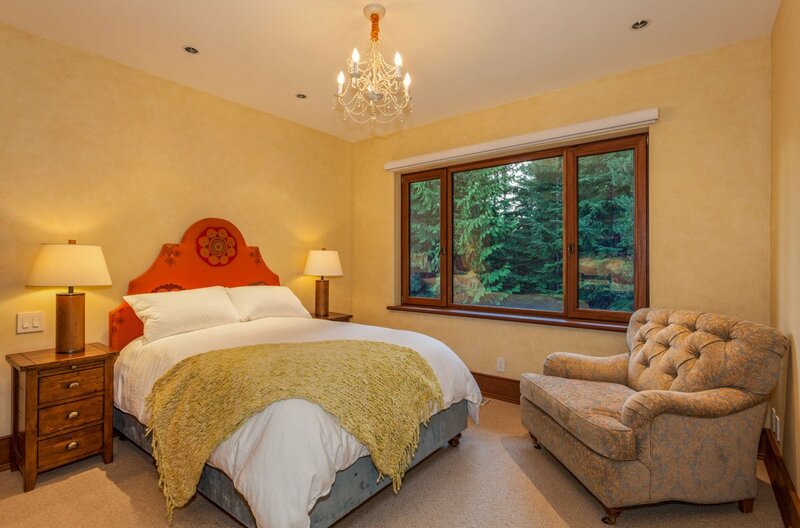 The luxurious master bedroom is a sanctuary on its own offering walk in closet with dressing area, steam shower, outdoor shower and deep soaker tub with exceptional mountain views. 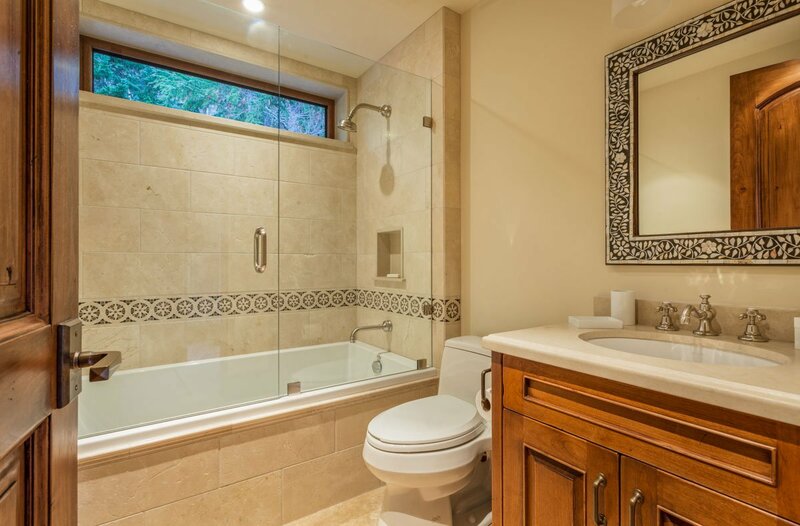 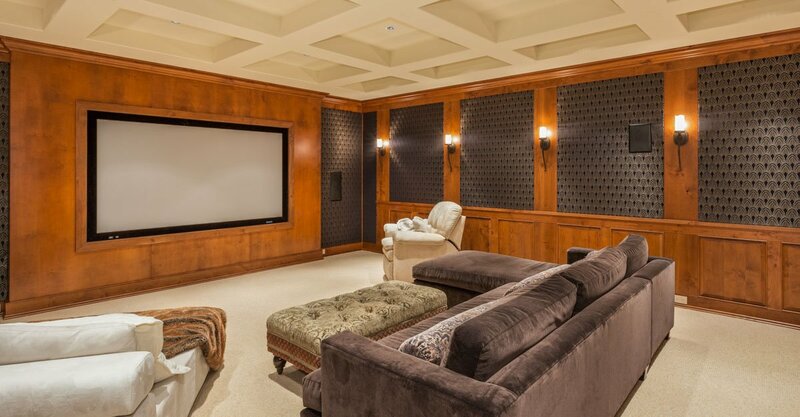 The exterior features wood and stone accents and the property is beautifully landscaped with lawns, perennials with over 2,500 sq ft of outdoor covered patios and decks, hot tub, numerous gathering areas and a separate guest/caretaker home. 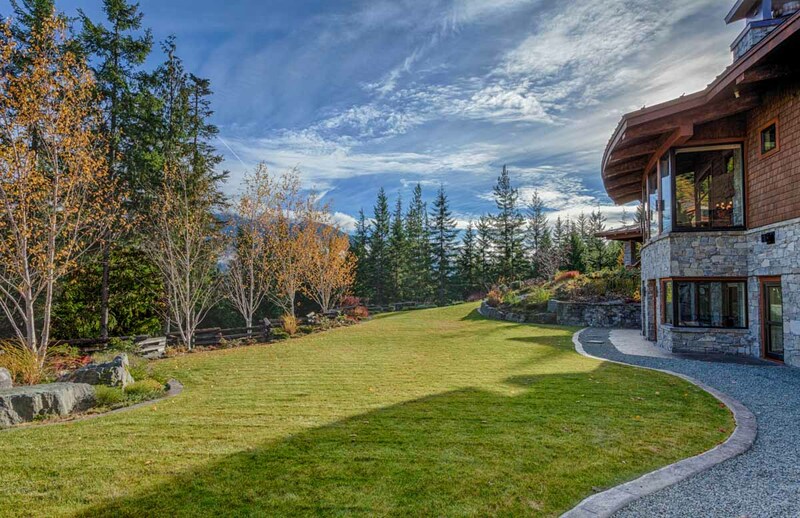 Approached via a gated laneway, Stonebridge Retreat Estate rests in Stonebridge, Whistler’s most exclusive and private neighborhood. 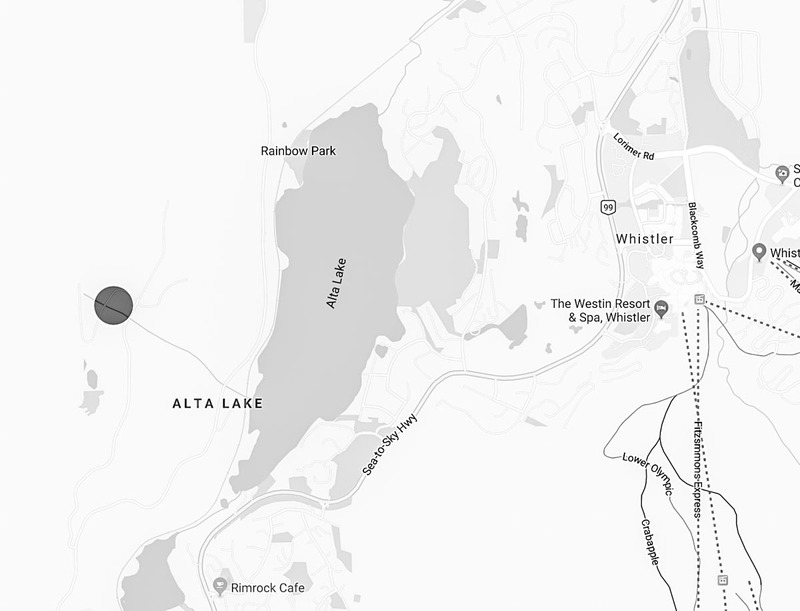 Keep in mind that you are a mere five minutes away from the base of Whistler and you can ski your heart out on the perfectly groomed trails as well… the choice might be difficult some days!